Paparazzi lenses sparkling in the sun compete with the reflected ripples of the Mediterranean waves in the early summer sun. A tinsel-town goddess pouts and twirls in the soft sands of a private beach or leans back provocatively on the stern of a millionaires yacht. It's festival time again at Cannes-sur-Mer when the celluloid descendants of the Lumiere brothers disembark onto the coast of the South of France for the annual mix of parties, photo-shoots and business deals. The famous Film Festival is a must for the itinerary of the international thespians of the multiplex illuminations and communal popcorn jamboree. So for mere mortals on a package holiday it's one of the top things to do in Cannes, to come and soak up the atmosphere. The phenomenon of this annual event actually dates back to humble origins in 1946 when it was first held in the Casino Municipal. It had been announced back in 1939 but a certain planetary conflagration sponsored by a certain Herr Hitler put things on hold for a while. The Wizard of Oz lost out to the Fuhrer of Berlin as the screening of the American entry that dark September was cancelled among the others. 1. Walk in the footsteps and see the handprints of movie greats. 2. 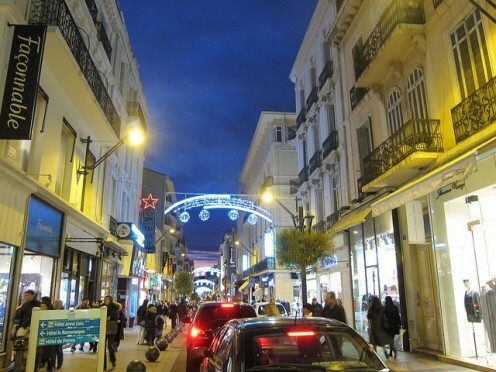 Stroll along La Croisette among the jet-set and high fashion stores. 3. Relax and sunbathe in soft sands beside the Mediterranean waters. 4. Enjoy cordon bleu food & wine enjoyed al fesco in the Old Town. 5. 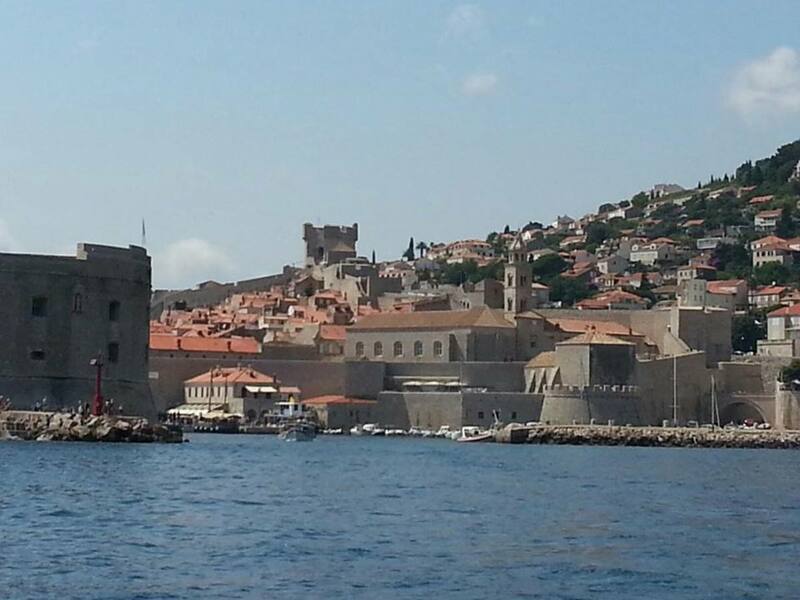 Visit the local islands and hear the story of the Man in the Iron Mask. Nowadays there is plenty of hustle among the bustle as the streets swarm with excited movie fans mingling with the tourists along the palm trees of the promenade and the balderdash of the bucket-shop alley of Rue Meynadier. But you can eat in the Rue Meynadier which also houses the covered market of the Marché Forville where you can buy flowers, fish, fruit and vegetables, meat and spices and more every morning 6 days a week. But whereas the Hollywood jet-set love to have the common folk in their cinema seats with the cash tills ringing, here in Cannes they tend to keep their distance, luxuriating on the private beaches with sun-lounger service available from waiters and waitresses. The movie fans who got them there need to cram into the tiny public beaches with hardly enough sand to fill an egg-timer. At most places along the shore a half-decent Olympic long jumper could probably make an easy hop, skip and a jump from the road right into the water. Back on dry land you can tip-toe through the handprints that radiate from the Les Allées des Étoiles, or 'Walk of Stars' all signed by the great and the good of the silver screen. On a lower aesthetic plain you can pose for that face-in-a-hole cut-out board which is always good for a chuckle. But here in Cannes there are no cartoonish fat ladies in swimsuits or avuncular fashion disasters proudly sporting a knotted hankie. 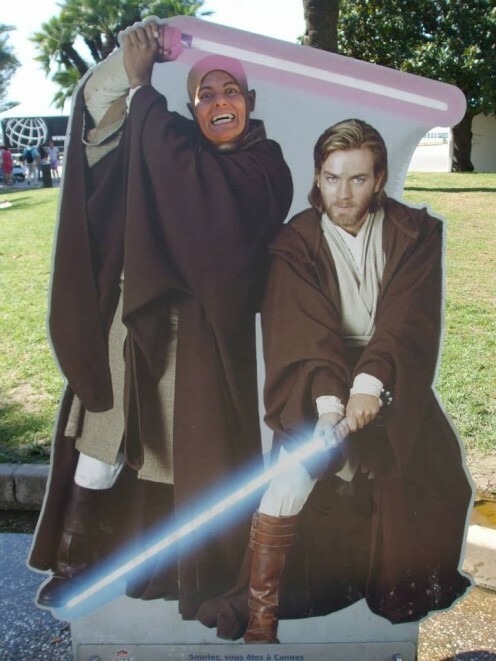 Here you can be a Star Wars celebrity, perhaps an Avenger, a Charlie's Angel or some other superhero for that special memento of your trip. These surround the Palais des Festivals where in May international movie stars congregate for new film screenings. 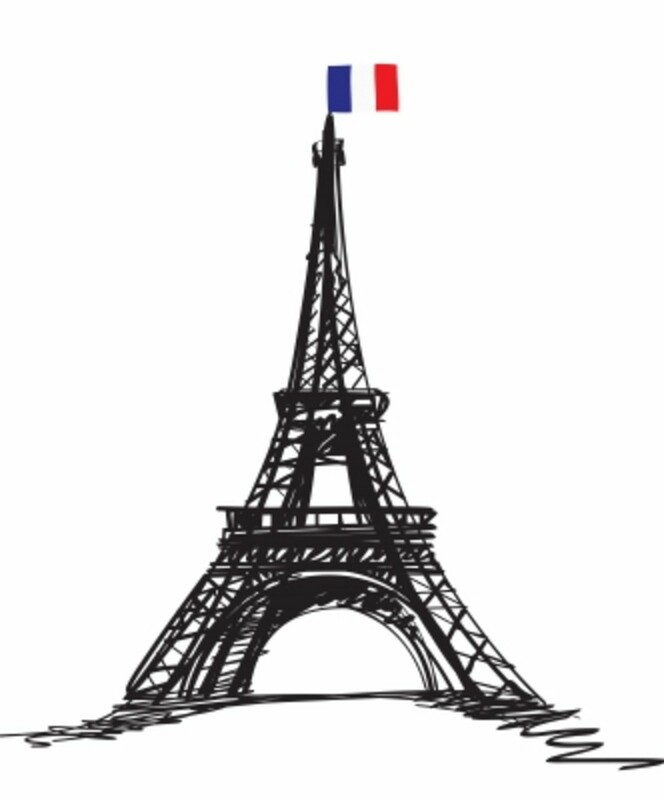 They compete for the coveted 'Palm d'Or' trophy in the Festival de Cannes or thrash out deals in Le Marché du Film, the world's biggest film market. You can follow in their wake, although un-carpeted in luscious red, and have your photo taken on the 22 steps of the grand entrance of the Palais. Cannes wears its heart on it's finely tailored sleeve and is not slow to boast of its place in the history of movie making. The railway station is dominated by a large mural painted on a wall in atmospheric sepia. It depicts a locomotive engine-driver peering out from the side of his iron steed. It is Jean Gabin in the 1930's movie 'The Human Beast' directed by the great Jean Renoir. 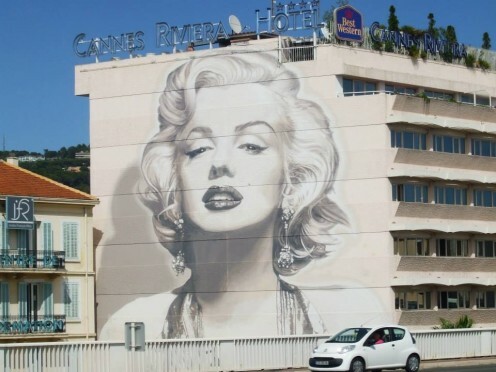 Take a short walk to the rear of the station and the eternal beauty of Marilyn Monroe is lavished seductively on a grand scale across a roadside gable end. I can't confirm if the busy thoroughfare beside it has more than its fair share of negligent road accidents from the male drivers passing by. And there are many more, including Harold Lloyd hanging from a two-dimensional clock and the immortal Buster Keaton, plus recreations of stills from the Film Noir era. But there are also many colourful frescoes on the walls around town which enlivens the the sights of a stroll around town. Of course Cannes isn't short of cash in the bank to decorate the masonry. This is a prosperous town and an international honey pot of delights for people who visit from all over the world. Originally it was largely popularised as a holiday destination by the British gentility back in Victorian times when it was just a simple fishing port unknown and untouched by the curious interloper. People such as the Scotsman Sir Henry Brougham from Edinburgh. When he wasn't designing exquisite four-wheeled carriages, he led the seaside pioneers into new territories. Here the odds were more favourable for sunshine than the windswept and sometimes chilly coasts of Old Blighty. Brougham's villa at the Croix des Gardes still stands today among many other relics of the little colony of the pale-faced chattering classes of the British aristocracy who came to bask in the warm glow of the southern skies. In the 19th century winter residences became increasingly popular after Sir Henry blazed that southern trail back in 1835. 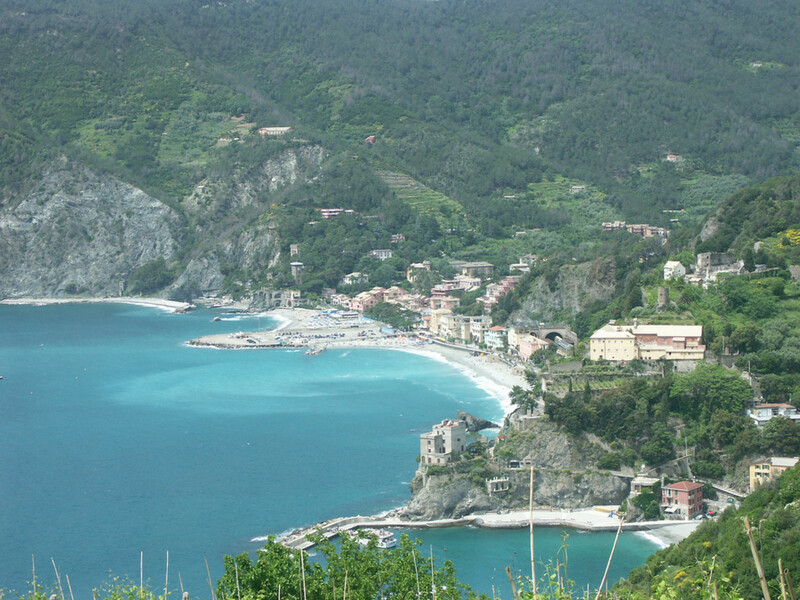 But today it's the summer months that attract modern tourists to the beaches, boutiques and to enjoy the buildings and surroundings. Without a doubt there are certainly many interesting architectural marvels to enjoy in Cannes. If the sculpted marble and stone of the ecclesiastical past attracts your worshipful gaze there are historic churches you can enjoy. Aside from the aesthetic beauty created by the artists and stonemasons of yesteryear they also offer a cool respite from the afternoon heat. A selection of standouts are the Russian Orthodox church, the baroque Chapelle Bellini and the fortified tower and Chapel of St Anne. 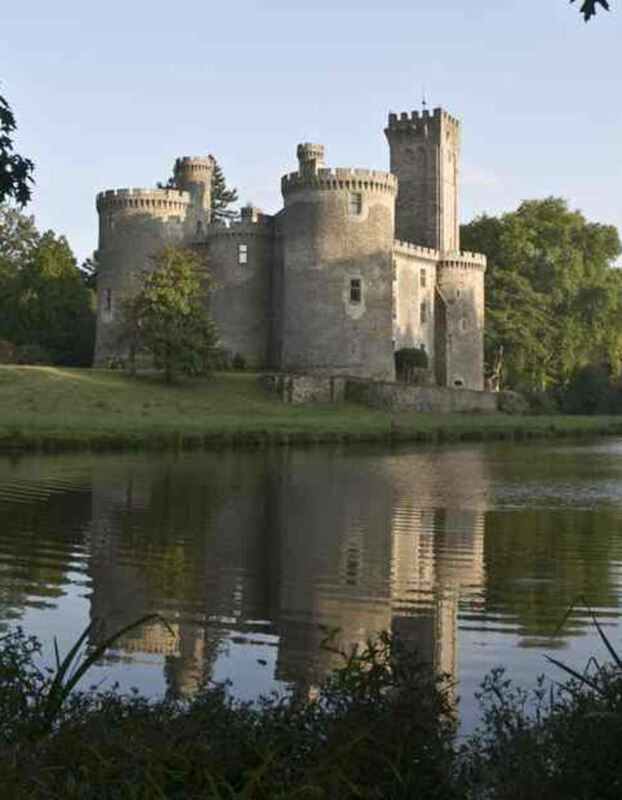 If you want to fully immerse yourself in history you can visit several museums in the town. 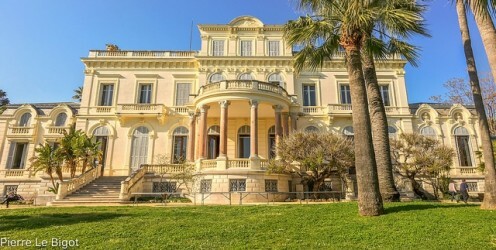 For example an 18th century mansion hosts the artefacts of the Musée d'Art et d'Histoire de Provence. The Musée de la Castre chronicles everyday life in Provence throughout the ages with paintings, pottery, furniture and traditional costumes. Eating out is always an activity fraught with uncertainty or full of possibilities as the indigenous menu item 'testicules de mouton' will bear witness. There is little need, nor indeed little appetite, for an English translation of this tender delicacy. Whatever tickles your palate unless you have a bulging wallet or four-figure bank balance, the setting of the corporate expense account on the seafront is to be avoided. The menus are overpriced and even then might not guarantee a delight for your eager taste buds. You might be better venturing into the Old Town which is less than a half-hour walk and which should build up a good appetite. If you're in a hurry then the extra price of the taxi fare on top of the restaurant bill may still prove a more cost-effective and satisfying evening away from the pretentious hauteur of La Croisette. In the narrow, winding streets of the old district of Le Suquet you can also sit outdoors digesting effortlessly the fantastic views over the town to the sea. An even better view can be had from the old castle ruins up on high. 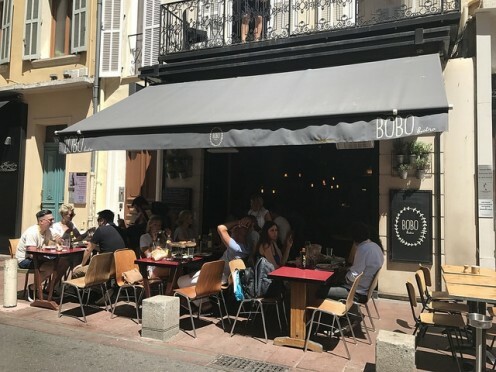 Then there is the tree-lined shade of Place Bellevue where many of the locals eat and reasonable fare can also be found around the Rue de Antibes. This latter street is particularly known for its delicatessens and sweet treats of chocolate, crystallised fruit and marrons glacés adored by greedy dentists the world over. 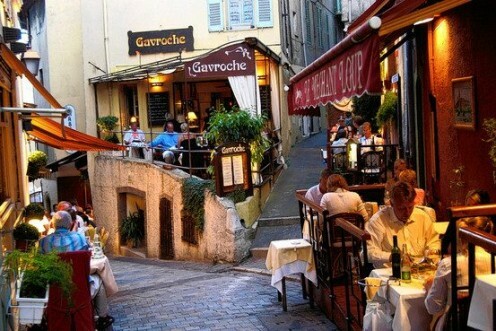 Streets of old world charm and a picture postcard ambience all add to the atmosphere but, even though you are in France, don't expect that marvellously rude service for which they are famous. The natives can indeed be friendly. Ironically, however, it's the Italian restaurants that often come most highly recommended for quality, taste and price. However if you're intent on a shopping trip during your visit then it's worth paying extra for that exotic retail therapy to calm your summer flutters. World renowned brands with quality threads and workmanship are the order of the day. The money will also just keep flowing from your wallet and purse if you choose accommodation in the hot spots along the promenade. That will suit the rich to the filthy rich. 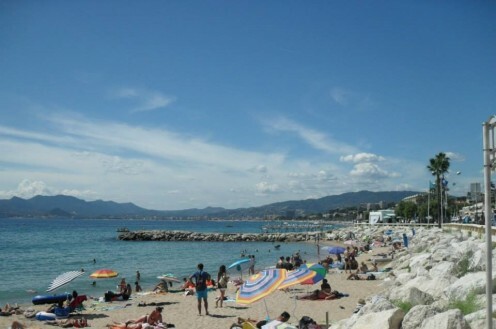 But if you are on a budget then no need to worry as there are hostels and campsites nearby along the Cote d'Azur. Places like Antibes and Mandelieu-la-Napoule have more affordable places to live. Even the largest local city of Nice is only around a 30 minute journey by train and the city obviously has many more bed spaces than the smaller towns on the Cote d'Azur. 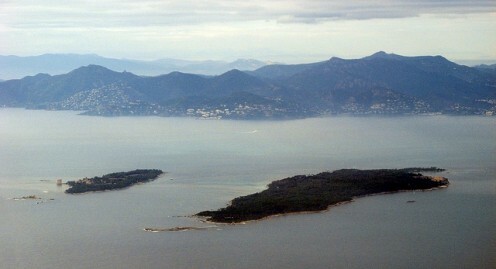 Venturing off-shore on your visit you can take a trip to two famous islands just off the coast of Cannes. They are called Sainte Marguerite and Saint Honorat and are popular spots for a diverting excursion. The most famous inhabitant of Sainte Marguerite, although a very reluctant guest, was the legendary Man in the Iron Mask. His original cell is open to visitors in the Fort which has been renamed the Musée de la Mer (Museum of the Sea). You can also find objects salvaged from shipwrecks including Roman artefacts and 9th century ceramics from the Saracen era. There are shops, bars, and restaurants available so it's quite a family-friendly place to visit. The smaller island of Saint Honorat is where you'll find Cistercian monks who have inhabited the island since 410 A.D. Their church is open to the public and you can also visit the ruins of an 11th-century monastery. The current monks live and work in the Lérins Abbey where they produce red and white wines. An interesting island for history buffs and theologians but not ideal for those with children who may not be so drawn to its old world attractions. For air travellers the Côte d’Azur Airport is the nearest fly-in around 15 miles away to the east. It lies next to the coast just outside the western side of Nice so you avoid the hassle of travelling through the city and can reach Cannes very quickly. Marseille Provence Airport is a bit more of a trek being over 90 miles in the other direction. There is small airport at Cannes called Mandelieu, but this caters more for business customers and the private jets of the movie stars. 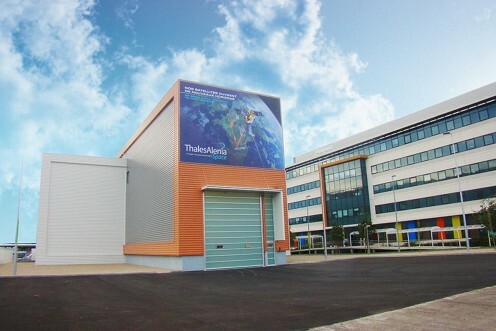 But there you can also visit the Space Centre, the headquarters of Thales Alenia Space where guided tours of the complex are available. It's a very popular attraction so reservation is strongly advised. The famous high-speed TGV trains run the rails along the coastline from places such as Nice, Marseille and Monte Carlo as well as other major cities of Paris, Lyon and Toulouse. There are also continental links to cities in Belgium and Italy. The other local train stations at Gare de Cannes-La Bocca and Gare du Bosquet only provide a regional train service. 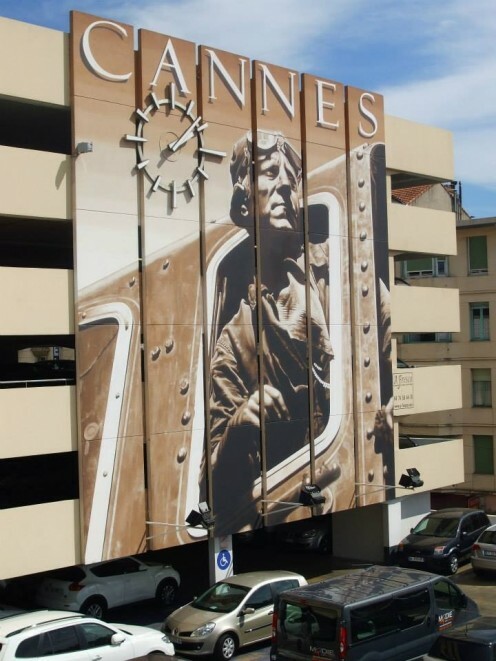 Coach services are available in the centre of town at the Gare Routière de Cannes with international trips organised by Eurolines and Agence Phoceens. 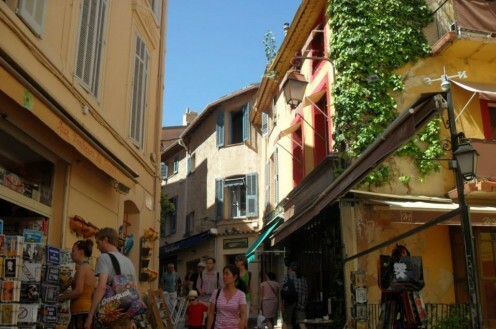 So, you can reach the famous town of Cannes by hook or by crook and sample its many attractions and delights. Unless you want to dwell in the starstruck surroundings and hang around the prom waiting to be noticed it's best just for a day-trip. That's all the time you'll need to see everything you want to see and do all you want to do. The South of France has a richness of jewels along its coast that you should take in as much as you can during your holiday. But certainly Cannes is not to be missed on that ultra-exotic tick-list of places to be in the French Riviera.